Although Rosh Hashanah doesn’t arrive until next week, we will begin the High Holiday Season at CBI this weekend. On Saturday evening at 8pm we’ll gather for Selichot services, and on Sunday afternoon at 2pm we’ll meet at the CBI cemetery in Clarksburg for our annual cemetery service. Have you ever wondered what happens at Selichot or at the cemetery service? Here’s a brief description of both of them. The word “selichot” is the plural form of the word for pardon or forgiveness. It’s the name given to a group of prayers that we recite together during each of the services of Yom Kippur, in which we seek forgiveness for our mis-steps. And it’s also the name given to the service that welcomes us into the Days of Awe. On Saturday night we’ll begin with havdalah, the ritual that brings Shabbat to an end and ushers in the new week. We’ll sing some of the selichot prayers that will be the centerpiece of Yom Kippur in a couple of weeks. And we’ll take time to think about our mis-steps over the last year, and to write down anonymously things for which we seek forgiveness, places where we’ve missed the mark and want to do better in the year to come. For me, what makes Selichot services meaningful is the return to beloved High Holiday melodies. “Return Again,” “Adon Ha-Selichot,” “Lach Amar Libi” — the words of these prayers speak to me, and over the years the melodies have become infused not only with the meaning of the words but with the experience of singing them fervently during these holy days. Singing these prayers at Selichot services begins to open my heart so that the High Holidays can do their work on me and in me. After our short service we’ll adjourn to the social hall for a potluck dessert reception, so bring your favorite dessert and join us! Selichot services are at 8pm on Saturday at CBI. It’s customary to meet at the cemetery on the Sunday before Rosh Hashanah for a short memorial service in which we remember our beloved dead who are buried there. Like Selichot, this is something that happens in many places around the world on the weekend before the Days of Awe. The service takes place in the afternoon, so it includes the prayers of mincha, the afternoon service. We’ll sing an abbreviated ashrei, and we’ll take time for a silent amidah, reflecting on the themes of our weekday requests. The heart of the service are the silent Yizkor prayers of remembrance, followed by the chanting of El Maleh Rachamim (“God, Full of Compassion”) and the recitation of the Mourner’s Kaddish. I look forward to being with you soon. Shavua tov! Looking forward to Shabbat Nitzavim-Vayeilech, and to Selichot! 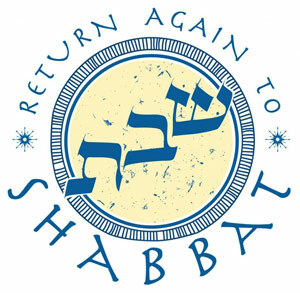 Join us on Shabbat morning at 9:30am for Shabbat morning services led by Chris Kelly. And here are commentaries from the Union for Reform Judaism: Nitzavim-Vayeilech at the URJ. Shavua tov / a good week to all! Join us this coming Saturday morning for Shabbat morning services where we’ll read from parashat Ki Tavo. This coming weekend brings the beginning of our High Holiday season with two very special events: Selichot services at 8pm on Saturday, and our annual Cemetery service at 2pm on Sunday. “Selichot” means “Forgiveness,” and it is a beautiful short service designed to open our hearts and souls to the Days of Awe. We’ll begin with havdalah, sing some favorite High Holiday melodies, take some time to write down the things we need to release, and sweeten our journey into the new year with a potluck dessert reception. The cemetery service, which lasts for about 20 minutes, is our annual opportunity to visit our beautiful Clarksburg cemetery, pay our respects to the generations of CBI members who are buried there, and pray the afternoon prayers and some memorial prayers in the “sanctuary” of the woods and headstones. Usually most of the people who come are our eldest members; I know that it would mean a lot to them if some of our younger members came to bear witness and to help us make a minyan so that we can recite the mourner’s kaddish. And here’s the URJ’s compilation of commentaries on this week’s Torah portion: Ki Tavo at the URJ. One of my favorite services of the entire year happens this Saturday night: Selichot. Selichot means “pardons,” and is the name our tradition gives to a set of poems and prayers designed to help our hearts experience teshuvah, repentance or return (in the sense of returning-to-God, re-orienting ourselves in the right direction.) Some communities have a custom of beginning to daven these prayers daily at the new moon of Elul, four weeks before Rosh Hashanah, so that by the time the new year rolls around people are already steeped in these words and ideas and the emotional realities they represent. And we’ll also take some time to ponder and to write down, anonymously, some of the places where we’ve missed the mark in the last year. Things for which we need to make teshuvah. Sore spots, “ouch” places, for which we need the balm of forgiveness. Selichot services offer an opportunity to begin the Days of Awe with mindfulness, and to ease gently into the intensity of the holidays. They’re a chance to say a few prayers, read a few poems, and engage in some introspection — all of which will deepen the experience you will have in shul when you return for Rosh Hashanah and Yom Kippur. Join us for Selichot on Saturday night. It’s a beautiful way to begin this meaningful season. And here’s the URJ’s compilation of commentaries on this week’s Torah portion: Ki Tavo | URJ. During the month of Elul it’s customary to pray psalm 27 every day. We’ll be singing different excerpts from the psalm over the course of this month and the Days of Awe — the song “Achat Sha’alti,” which we’ve sung here for many years at this season, and also the verse “Lach Amar Libi” to a melody from Nava Tehila, the Jewish Renewal congregation of Jerusalem. I hope this note finds you well. We have many special moments coming up. I’d like to draw your attention to three of them. Tomorrow night at 8pm we’ll hold our annual Selichot services. This is one of my favorite services of the year (I recently posted on my blog about why I love it so much.) We’ll begin with havdalah, sanctifying the transition from Shabbat into the week. We’ll sing some beloved High Holiday words and melodies, easing our hearts and souls into the journey of teshuvah (repentance / return) which is so central to this season. We’ll also take the time to write down some of the places where we’ve missed the mark in the year now ending, things for which we seek forgiveness and release. We’ll end with a potluck dessert reception; please bring a dessert to share. This year Selichot is extra-special because it falls on the weekend of the fall equinox — the temporal doorway through which we walk from one season to another. As we enter into the new season of fall, and the coming new year of 5775, what do we want to hold on to, and what do we want to release? On Sunday at 2pm we’ll have a brief service of remembrance at the CBI cemetery in Clarksburg. Our cemetery is a beautiful and peaceful spot, and there is something very special about gathering there just before the Days of Awe to honor the memories of our loved ones who are buried there. The service is brief, and afterwards all are welcome to take their time exploring the cemetery and placing pebbles, symbols of our remembrance, on the headstones. Even if you don’t have any loved ones interred there, you are welcome to join us and help us make a minyan. I hope you’ll join us for some or all of these sweet observances of this beautiful time of year. May this last Shabbat of 5774 be meaningful and sweet!